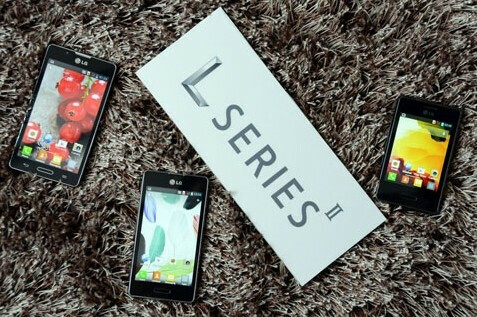 Earlier on Monday, specs accidentally leaked for the LG Optimus L3 II, but now the word is out from LG, officially. The LG Optimus L7 II, LG Optimus L5 II and the LG Optimus L3 II have been introduced. LG says the new L Series II line "embodies the beauty of the first L Series but with a more refined touch," and you need to say the last part of that quote with your nose in the air, as if you just ran out of Grey Poupon. The new series adds four new design elements, Seamless Layout, Laser Cut Contour, Radiant Rear Design and Smart LED Lighting on the home button. The new phones offer up some features unique to LG such as one feature we've seen before, QuickMemo. This lets you use your finger to write or draw on the screen, and send it to your buds. Quick Button lets you set up a button to be used to quickly start up any feature like the browser, camera or music player. Safety Care allows you to set up three options – Emergency Call Forwarding, Phone Non-Usage Notice’ and My Location Notice so that a loved one can be contacted if there is an emergency. This week, the dual SIM version of the LG Optimus L7 II will launch in Russia, and guess what kiddies, it has QSlide! This is the multitasking feature that allows you to take two apps, make one more translucent while the other one becomes more solid. We've seen it on the LG Optimus G and it is a different and unique way to multitask. Let's say you're watching a movie and sending an email. You can have the email app look translucent while watching the movie.Then, when you need to send an email, you can use the slider to make the email app appear more solid while the movie becomes more translucent. The LG Optimus L7 II will be equipped with a 4.3 inch IPS WVGA display with a dual-core 1GHzQualcomm Snapdrago n processor (MSM8225) under the hood. 768MBof RAM are on board with 4GB of eMMC that can be expanded using the microSD slot. A 2460mAh battery is included while the back and front cameras are 8MP and.3MP respectively. Android 4.1 is installed out of the box. QuickTranslator is also on the phone. The LG Optimus L 5 II will have a 4.0-inch WVGA display and 1,700mAh battery while the LG Optimus L 3 II will feature a 3.2 inch QVGA IPS display and 1,540mAh battery and both will be announced at a later time. Pricing was not disclosed for any of the phones. With over 10 million units of the original L Series having been sold, LG has the confidence to offer sequels for practically the whole line. physical hardware menu buttons....... Samsung any lawsuits???? LG developed phisical hardware menu buttons first. we LG deserves a lot of appreciation. Couple of years back, i remember people wouldnt recognize LG as a good phone maker and were shamed of owning a LG phone, saying they were just washing machine/refridgerator makers. Now they look at them.. They make some exquisite phones. Good job LG. well you are right...! LG deserves a lot of credit..! But don't forget the awesome LG P500, released in October 2010. I still use that phone, and its still going strong with no problems whatsoever..battery life is still awesome (I've never changed the battery). Actually they always had awesome phones but they just never clicked..and also with software bugs like in the Optimus 2x. They were just shadowed by Samsung and HTC with their marketing and advertising...and also better software. But now LG is back, they improved so much on the software front since then...! LG is still the same when it comes to software, while HTC and Samsung flagships are already updated to jellybean the Optimus G and the 4X only have a promised update which with my experience with LG can take at least 2 more quarters so Q3 2013 for the updates. I'm not talking about updates my friend, I was talking about the software, the optimus UI and all. There were a lot of bugs but they rectified them and the optimus G is one of those devices that proved LG can provide amazing software..! Very sure you "can't see the light". With your assessment of LG products, I am not surprised. Maybe because i had an LG product and it was an awful experience? With a phone stuck on Gingerbread till late 2012, that only worked on CyanogenMod because stock ROM was too buggy? What assessment? I love their TVs. So umm.. Aside from jb and a few tweaks in clock speed, what makes it special over the almost 2yr old galaxy s2. Which probably has the same price as an L7II? Aside from the plastic cheap feel. 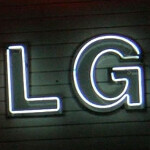 Where's the Lg Optimus L9 II?